Call today for a Generac generator! 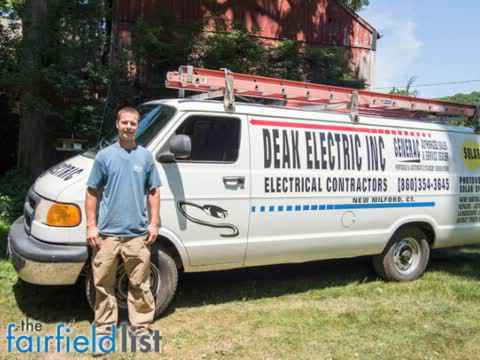 Deak Electrics provides generator solutions in New Milford, CT. Our experienced staff will help you find the right generator for your home. We provide quality generators for homes and businesses. Did you know a business can suffer and lose revenue when the power goes out, even if it’s for a little while? Do you want to be able to provide for your family, and protect your home from power outages before something happens? Let Deak Electric, the #1 selling power systems around, provide you with power generators to save your home and business! With our knowledgeable and dedicated team, see for yourself why we have been around for more than 20 years! A Generac generator or power generators can help save your home or business! Since 1985, Deak Electric Inc. has been helping customers have worry-free lives with protecting their houses against power outages. A Generac generator can be a huge help when there is a storm, and if you lose power, it starts up automatically! Never worry about your lights going off, food in your refrigerator getting spoiled, not being able to cook or do laundry, and losing your air conditioning or heating again! Your home will be protected 24 hours a day, 7 days a week, all year ‘round! Our backup generators for homes include EcoGen series, CorePower systems, Guardian series, and we also offer transfer switches and accessories. Portable generators we offer include iX series, GP series new, XG series, and XP series. Commercial generators include QuietSource series generators, Commercial series products, along with transfer switches and accessories. We will help you select the generator that meets your needs and your budget! 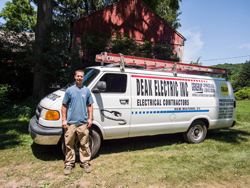 Deak Electric Inc. is located at 44 Old State Road in New Milford, CT 06776. Give us a call at 860-717-0342 to get your home or business protected with one of our backup generators so you never lose power, and live worry free! You can count on our team to provide you with personalized service, professional installation and ongoing maintenance, so call now to become one of our satisfied customers! Power Generators, Generac Generator, Backup Generators, Professional Installation, Residential Generators, Portable Generators, Commercial Generators, EcoGen Series, CorePower System, Guardian Series, Transfer Switches, Accessories, iX Series, GP Series New, XG Series, XP Series, QuietSource Series Generators, Commercial Series Products, Protecting Homes and Business All Year 'Round, Personalized Service, Ongoing Maintenance, #1 Selling Power Systems.